Skylight Installation | San Antonio, TX - Skylights Co.
Skylights Co. is the first choice for skylight installation and skylight repair work for countless roofers, architects, management companies, and general contractors near San Antonio. From your initial installation to maintenance work that keeps you covered down the road, our team is the only one you need. Best of all, you trust in the durability of our product because it comes with a comprehensive 10-year warranty. Create a focal point in any structure with the services from Skylights Co. At our company, we are proud to serve as a top provider of skylight installation in San Antonio, TX. With our installation and repair work, you will enjoy the benefits of a cost-effective energy setup in your location. Our experienced professionals offer a range of different options for each of our clients. Reach out to us today to discover more about our services. As the construction industry grows and develops, new innovations continue to become available for property owners to choose for their structure. At our company, our goal is to stay on top of these advancements so that we can offer our clients the latest options. Individuals looking for an energy-efficient addition to their buildings benefit from a skylight installation. This unique building feature allows owners to cut down on the earth’s emissions and the need for electric lighting. By installing these options, property owners will be able to save money on energy without sacrificing the amount of light they allow into their homes and businesses. In addition to our skylight installation services, we are available to perform a full skylight repair for each of our clients. Turn to us to learn more about our options for your location. Backed by a team with more than 30 years of experience, Skylights Co. handles skylight installation, manufacturing, and repair. 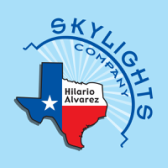 Our head operator, Hilario Alvarez, has worked with many commercial and residential skylights over these years. With his guidance, Skylights Co. provides extensive insight into your project, and reveals the most cost-effective options at your disposal. Contact us to request our assistance with your skylight project. We offer installations and repairs for clients throughout San Antonio, Texas.